The Archipelago Foundation endeavours to offer you experiences that are out of the ordinary. Nature helps us with this in all our areas, but in some places there is that little bit extra. 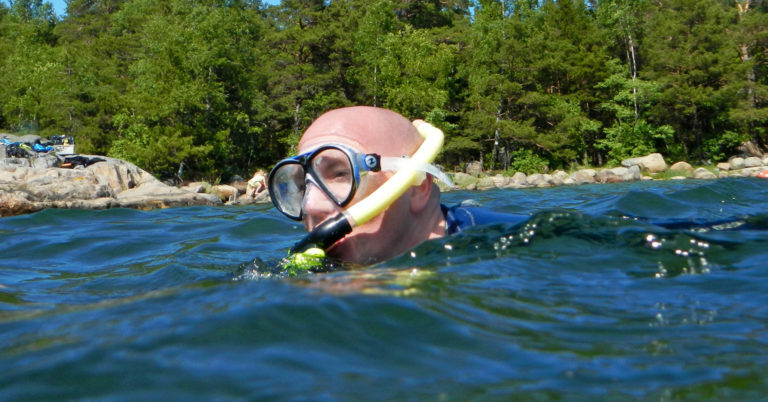 For example, on Björnö and Nåttarö, where we are proud of our snorkel trails. Discover exciting species such as pipefish, Baltic prawns, the two-spotted goby and many more. The signposted underwater trails are about 200 metres long and are up to three metres deep. You can get to Björnö by bus, boat or car. We have set up a snorkel trail at Torpesand, close to both rocky swimming spots and a sandy beach. The trail is adapted for disabled and visually impaired people with a wheelchair access jetty (the jetty is in place 15/6–1/9) and underwater signs with tactile writing and Braille. You can get here by boat from Nynäshamn. 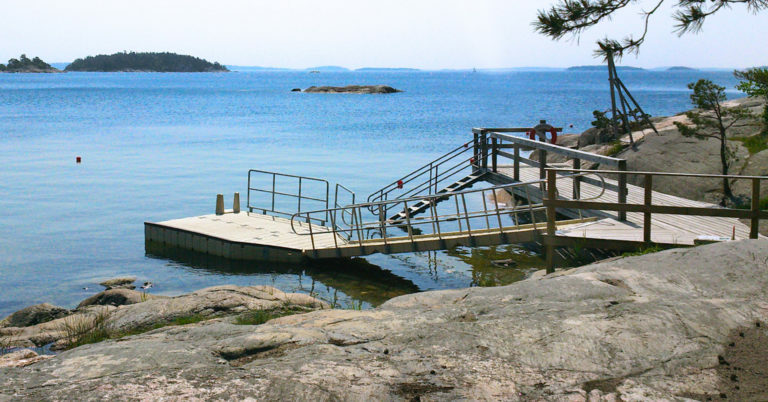 The snorkel trail is marked with buoys and is just to the left of the steamboat jetty, below Nåttarö restaurant. Follow it on a sunny summer’s day. Perhaps you will learn something new about life in the Baltic Sea.